Our new Lia release is quite different to its 2010 and 2011 predecessors. 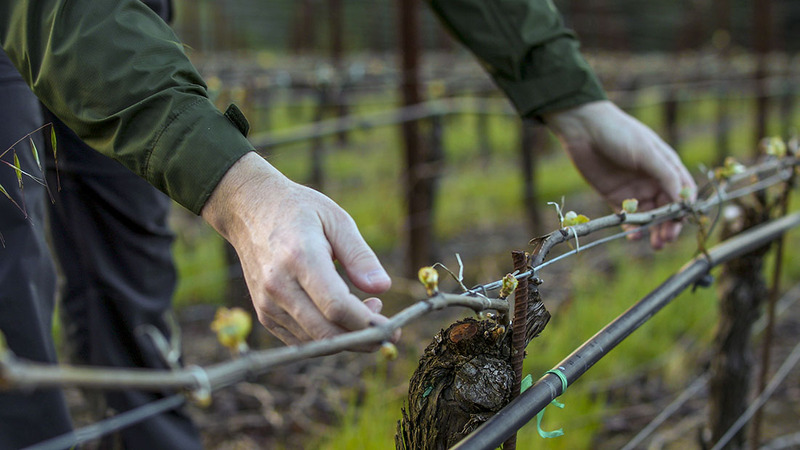 It’s a single site wine – not a three-vineyard blend – from our oldest vineyard block, a one-acre hillside parcel at Hoppe-Kelly Vineyard, located below our Eddie’s Patch Syrah vines. These vines are dry-farmed, fully mature and very low yielding and they deliver a natural concentration that is rare in Californian Viognier. This is our eleventh vintage with this parcel and the key here is to harvest the fruit just at the point it develops broad fruit richness but before the wonderful savory elements that bring complexity and intrigue fade into the background. This wine offers a really beautiful balance between depth and freshness, viscosity and clarity. The ‘lilting’ texture is really alluring and there are all sorts of interesting savory notes that add complexity to the fruit core. The wine is ready to drink now and you should serve it a little cooler than our Chardonnay wines. Intensely perfumed yet quite brisk on opening – white peach, honeysuckle, lemongrass and nectarine. Briny green olive element with minerals and fresh herbs. Good cut and freshness to the aromas. Richness develops, obvious depth of flavor – mango, tangerine, toasted walnut. Full deep viscosity but maintains clarity and balance. Saline fresh finish with pear and almond. Serve at 50F and drink within a couple of years of release.